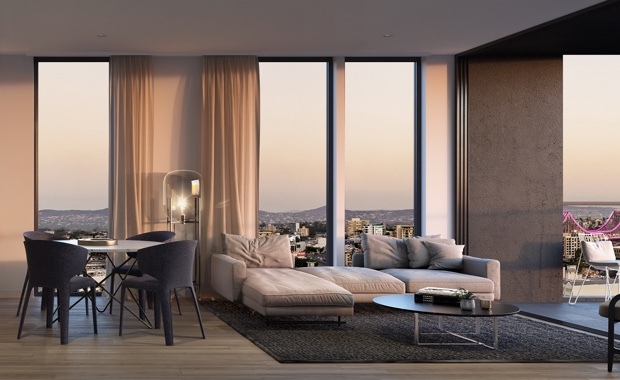 Ausin Group has taken the wraps of its latest Queensland project, a 139-apartment, $80 million boutique project in Brisbane’s Fortitude Valley. Dubbed The 28, the project was designed by award winning architects Conrad Gargett and will be officially launched in May. The development comprises of 139 apartments, offering both one and two bedroom options and is located on Baxter St, Fortitude Valley. The fifteen level mixed-use development offers panoramic views across the Brisbane city skyline, Story Bridge, Mount Coot-tha and to Moreton Bay.